I. What is the ALBA? This model, EL ALBA, aims towards the stability. The Bolivarian Alternative for the Americas (ALBA) is based, fundamentally, upon a model of politic, economic and social integration of countries, as the Caribbean and Latin American, which share geographic spaces, historical and cultural bonds, necessities and common potentialities. The ALBA is then, a new scheme of integration based on principles of cooperation, solidarity and complementariness and it arises as an alternative to the neo liberal model, which has not done but that to deepen the structural asymmetries and to favor the accumulation of wealth in privileged minorities in detriment of the well-being of countries. The ALBA is based on the creation of mechanisms to foment cooperative advantages among the nations allowing compensating the existing asymmetries between the countries of the hemisphere. ALBA looks for attacking the obstacles that prevent true integration such as the poverty and the social exclusion; the unequal interchange and the lack of equity conditions in the international relations, the free access to the information, to the technology and to the knowledge; it aspires to construct consensuses, to rethink the agreements of integration based on reaching a national and regional endogenous development to eradicate the poverty, to correct the social inequalities and to assure and to increase life quality for all the countries. In that sense, the construction of the ALBA in the Caribbean will strengthen the endogenous development, sovereign and balance, of the countries of the region. ALBA principle is based upon the cooperation through compensatory founds to correct the disparities and disadvantage of underdeveloped countries compared to those developed countries. Therefore the proposals of the ALBA grants them priority to Latin American integration and privilege negotiation in sub regional blocks, opening new consultation spaces in the aims to deepen the knowledge of our positions and to identify spaces of common interest that they allow to constitute strategic alliances and to stand similar positions in the negotiation process. The ALBA proposal is a focused in constructing consensuses that entail to rethink the agreements of integration based on reaching a national and regional endogenous development that eradicates the poverty, corrects the social inequity and assures an increasing quality of life for all. The proposal of the ALBA adds efforts waking up of the conscience expressed in the developing of a new political, economic, social and military leadership in Latin America and the Caribbean; today more than ever, it agrees to re launch the Latin American and Caribbean Union. 1.To promote the fight against the poverty. 2.To preserve the autonomy and Latin American identity. 3.The transference of technology, the technical assistance. 4.The formation of human resources. 5.To prioritize national companies us public beings suppliers. 6.The agreements could not be obstacle to the diffusion of the scientific and technological progress. 7.To face the abuse of the monopolies and oligopolies through effective mechanisms that assures fare competition. 8.The foreign investors will not be able to demand the countries by the handling of state monopolies of public interest. 9.Treatment special and differentiated to unequal economies to open opportunities to the weakest. 10.Process of wide social participation, which can be characterized like democratic. 11.Economic, social, cultural and civil rights should be interdependent, indivisible and can not be waived. 12.The commercial interests of the investors will not be able to have supremacy over the human rights or over the sovereignty of the States. 13.Creation of founds of structural convergence for the correction of asymmetries. 1. Neo liberal integration prioritizes the liberalization of the commerce and the investments; however the Bolivarian Alternative for Latin America (ALBA) is a proposal that focuses its attention on the fight against the poverty and the social exclusion. 2. In the proposal of the ALBA a crucial importance to the human rights, labor rights, the woman rights, and to the defense of the atmosphere and physical integration. 3. In the ALBA, the fight against the protectionist policies and the ruinous subsidies of the industrialized countries cannot deny the right of the poor countries to protect to its farmers and agricultural producers. 4. For the poor countries, where the agricultural activity is fundamental, the conditions of life of million farmers and natives would be seen irreversibly affected if it happens a flood of imported agricultural goods, still in the cases in which subsidy does not exist. 5. The agricultural production is much more that the production of merchandise, is the base to preserve cultural options, is a form of occupation of the territory, defines modalities of relation with the nature and has to directly do with the security and nourishing self-sufficiency. In these countries agriculture is, rather, a way of life and it cannot be treated like any other economic activity. d. The weight of an “impossible to pay” debt. e. The imposition of the policies of structural adjustment of the IMF and the WB and the rigid rules of the WCO that undermines the bases of social and political support. f. Obstacles to access information, the knowledge and the technology that are derived from the present agreements of intellectual property. g. To pay attention to the problems that affects the consolidation of a true democracy, such as the monopolized social mass media. 7. As an answer to the brutal dissolution that the State suffered for more than one decade of neo liberal hegemony, the fortification of the State and governments, on the bases of the participation of the citizen in public matters, prevails now. 8. To face such a call Reformation of the State that only took us to unfair processes of deregulation, privatization and disassembling of the capacities of public management. 9. It is necessary to question the vindication to the free market and commerce, as if only these concepts were enough to automatically guarantee the advance towards greater levels of growth and collective well-being. 10. Without a clear intervention of the State directed to reduce the disparities between countries, the free competition between unequal countries will lead us to make the damage of weakest worst. 11. To deepen in Latin American integration requires an economic agenda defined by the sovereign States, outside all ominous influence of the international organisms. The ALBA acquires a special dimension in the Caribbean by the existence of objective conditions that would allow advancing fast in the process of integration through the development of an integrated and consistent program of cooperation, oriented to construct the bases of the sustainable socioeconomic development and the consolidation of a community of nations. The Caribbean is reservoir of energy, water and strategic mineral deposits. The Caribbean region is called to become a world-wide tourist power and services due to its geographical strategic location, is also, a rich zone of cultural and ethnic profile. On the other hand, the Community of Caribbean Nations shows an important political weight in international and multilateral organisms, the UN and the OEA, owning an important negotiation capacity at the moment of the decision making. Without a doubt, all these capacities would be harnessed within the framework of an integration process like which it proposes the ALBA. The Caribbean is a relatively small market, of 36.25 million inhabitants. 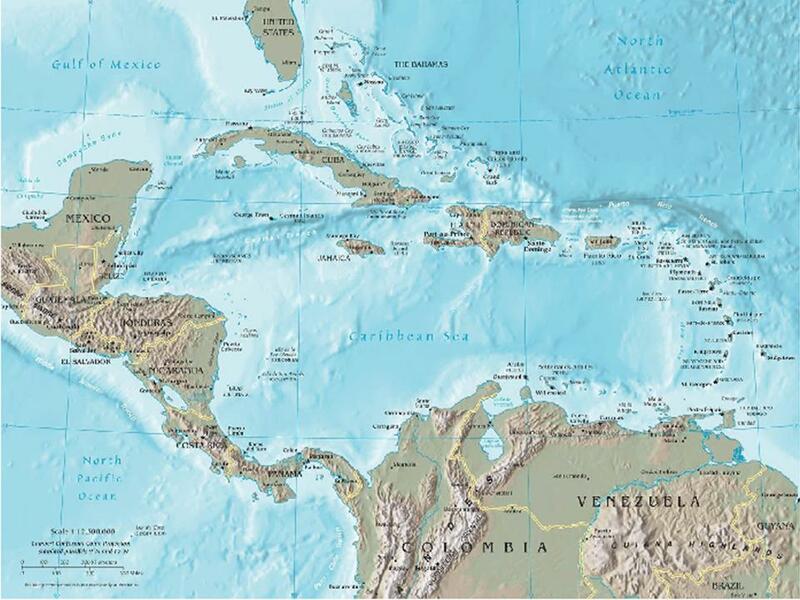 Adding the CARICOM (15.7 million), Cuba (11.3 million) and Dominican Republic: (9.1 million). The region reaches the 62.8 million inhabitants, if we included Venezuela; the GIP of the region reaches 80,000 MM USD of which the 36.25% (28,000 MM USD) are contributed by the 15 member countries of the CARICOM and the rest 63.75% (52,000 MM USD) by Cuba and Dominican Republic. We found disadvantages in the fact that the countries of the Caribbean have always presented trades balance of deficit goods and in the circumstance that the intraregional commerce is very low as what they exports represent 11.75% of the total exported and what they imports represents the 5.15%. In fact, 71% of the exports of the Region have North America and Europe as destiny and just 12% goes to Center America, a 4% goes to South America. Sectors that shows the higher r indices of export are: mineral products (It includes petroleum and its derivatives), textile, chemical agents, diverse manufactures, drinks, foods and metals. We must emphasize that potentialities of complementariness and substitution of originating imports of third countries exist intraregional, by elaborated products, inasmuch as demanded sectors exist that have intraregional production, but that is commercialized with third part countries. For the pointed reasons, we can conclude that a great challenge exists, as well as ample opportunities for the development and the deepening of the intraregional commerce, which would allow carrying out an efficient substitution of originating imports of third countries, by products of intraregional origin. Without a doubt, and as we have indicated the sectors corresponding to "Mineral Products", "Common Metals" and "Tourism", they present a greater potentiality of development and complementariness among the countries of the Caribbean due to the comparative advantages contributed by each one of the parts. In social matter also we can affirm that necessities exist and puts common inasmuch as all the countries of the region require contributing to the development of Basic Education, to complement the elementary school and to overcome the deficiencies in high school, which has been historically low in the Caribbean, as well as improving the schooling averages. Health is also a common challenge: the Caribbean is the zone after Africa Sub-Sahara affected the most by the AIDS; in Haiti the prevalence is of 4% whereas in Bahamas is of 6% (World Bank 2002). a. The fight against the poverty and the social exclusion. 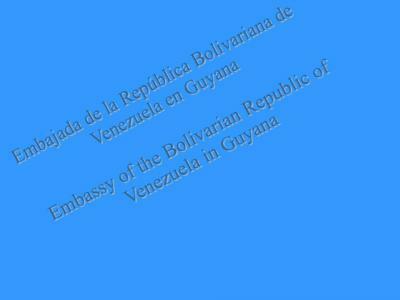 To organize basic programs of Housing, Services (water, electricity and road), Alphabetization, Health. To design the Plan of technical and financial support for the development of the Program of worthy House, taken into account the ethno cultural characteristics of the region, as well as to establish the bases of the technical and financial support for the provision of the basic services, fundamentally water and electricity, road infrastructure and primary attention in the health sector. b. Joint plan in the matter of alimentary security. To implant a joint plan of alimentary security through the elaboration of a normative frame, that guarantees the conditions for the development of the production and food processing according to norms of correct manufacture, analysis of risks and critical control posts, as well as the trade and commercialization of nutritional products with low prices for less resources population of the region. c. Power and mining development to advance to joint initiatives for the power and mining development to traverse the joint of chains of aggregation of value integrated, that adds value to the raw materials and impels the endogenousdevelopment in the region base on in the technological innovation, in order to obtain the productive sovereignty. To rise to a mining-metallurgical map of the Caribbean and study its industrial potentialities, as bases of a mining strategic plan of the region. To implement joint strategies of trade and re engineering of logistic means for the transport, crude storage and distribution of products in the Caribbean region. To extend the options of primary energy in the Caribbean with emphasis on natural gas. To establish the bases for the creation of a found of mining development towards the technical, financial attendance, investigation and scientific and technological development of the sector. d. Portfolio of integrated investments. To design and to promote a portfolio of investments oriented to construct the integrated industrial chains of aggregation of value to the raw materials. e. An Academic and Cultural interchange. To combine efforts to extend the radius of action of the Caribbean University, through the opening of Campus in other countries of the region. To stimulate the efforts of cultural interchange among our Countries with a looking forward to fortify historical and cultural bonds. To establish strategic alliances oriented to the formation of human resources in different sectors, taking advantage of as well as sharing the common capacities and potentialities in the sector. To share experiences and development accomplished by the tourist industry in the region, to lay the foundations of an integrated management taking advantage of the own capacities in each country. To establish strategic alliances oriented to the formation of human resources in the tourist sector, to develop the logistic infrastructure of transporting and, in general, the constitution of a Caribbean regional air line to construct of a tourist capacity in the region. To explore the integration initiative, through the services of management, promotion, certification, logistic and commercialization of the tourist services in the Caribbean. To elaborate joint programs of ecosystems conservation and monitoring, as well as to promote the establishment of support systems of the communitarian environmental management and the formation of human resources in this matter. To develop program of incentives to support the producer and the consumer as well as tributary, financing and access on the credit, guarantees, promotion, intelligence of market, facilitation of the commerce, infrastructure of support to the production, establishment of productive circuits based on the endogenous development new program of incentives. i. Prevention and management of disasters. Construction of a prevention system and management of disasters in the region, by means of the establishment of a system of monitoring and joint operation. We can end saying that the proposal of the President of the Bolivarian Republic of Venezuela, Hugo Rafael Chávez Frias, implies an historical and important fact rooted in the dreams of integration of ours father liberators, it provides a true option of development and a luminous way to the future of Latin America and the Caribbean.